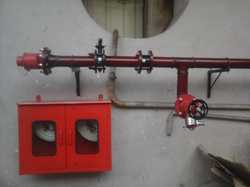 We deals in fire Fighting Systems. We are in to sales, service and also we take up AMC of hydrant service..
We are leading company engaged in offering Maintenance For Fire Fighting Systems. United System undertakes complete Design, Engineering, Procurement, Supply, Fabrication, Erection, Testing and Commissioning of Fire Detection, Alarm and Protection Systems as per client requirements. Our Fire fighting systems have been commissioned for various sectors such as Power plants, Process plants and Metallurgical plants. We are remarkable enterprise, involved in offering superior quality Fire Hydrant System AMC Service. - Price depends on the type of fire extinguisher, quantity and the capacity of the fire extinguishers. We are a most trusted name amongst the topmost companies in this business, instrumental in presenting Fire Hydrant System AMC Service. We Fire Systems is leading supplier of AMC Of Fire Suppression Systems. 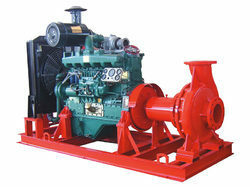 Fire Fighting Systems AMC services. AMC for Fire Alarm System. We are a highly acknowledged organization, engaged in providing Fire Fighting AMC Service.